The schools around here have the week off. 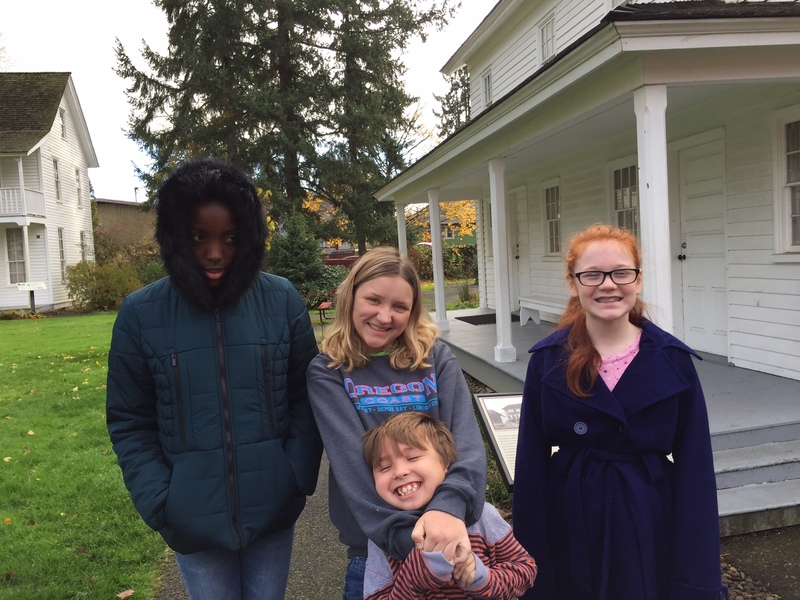 We decided to take the homeschooled girls on a field trip, and they are doing a small amount of work that was left over after they both got colds last week, but that’s it for them for the week, as well. My sister planned it, and my aunt and I took the kids. I had never visited this historical sight before, and enjoyed it tremendously. 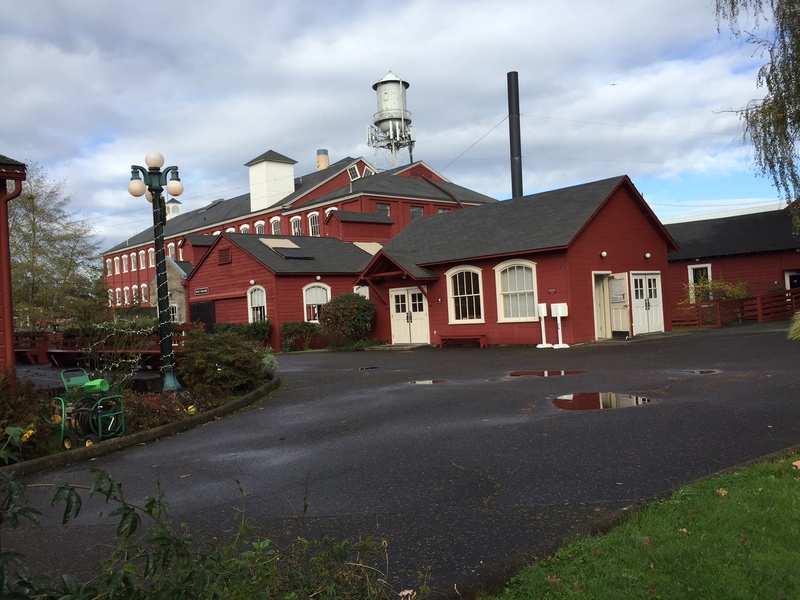 It is located in Salem, Oregon. 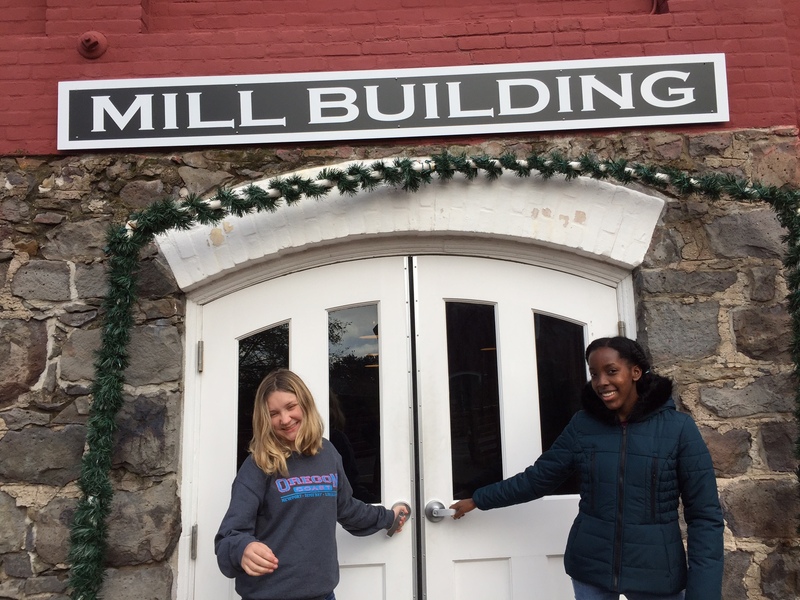 We toured the old woolen mill, and the houses surrounding it. Some houses had been moved to this sight, but the mill was always there. We were amazed to see that the machinery still worked (at least some of it) and they ran some of it while we were in there. In other places, buttons could be pushed to start machinery, which was a hit with Jake especially. 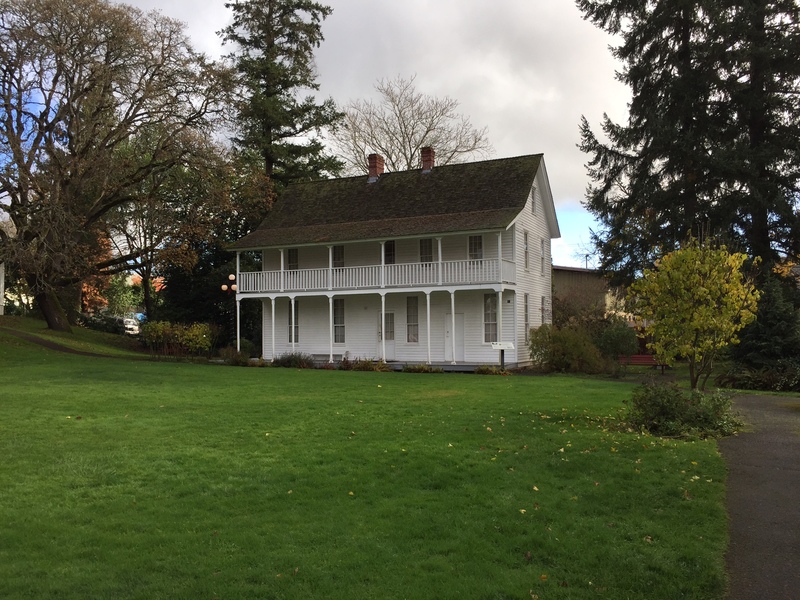 These homes were residences of early missionaries to the Oregon Territory. They took a ship to Oregon before the time of the Oregon Trail, started out in one place which turned out to be flooded too often, so moved. It was fun to see the houses. 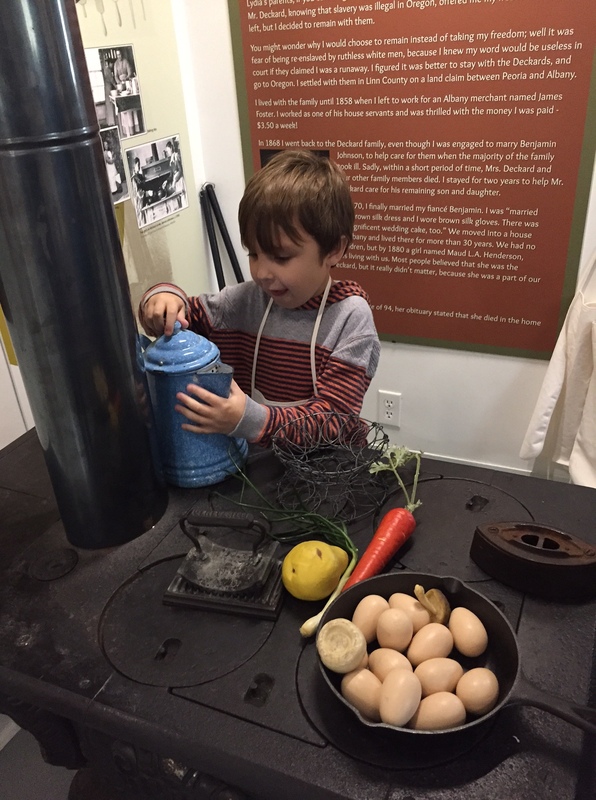 In the parsonage, there were quite a few interactive exhibits set up with kids in mind. Jake loved “cooking” with the play food, building with blocks, and other fun activities. Does anyone know the purpose of the crinkly cast iron base and iron pictured above? The base has grooves in it, and the iron part (on top with a handle) has a matching grooved surface. So, you can hold the handle and roll it back and forth. But why? It wouldn’t be good for ironing, since it is crinkly. Our best guess was an old-fashioned panini press–ha-ha! After we had gone through all of the buildings, we browsed our way out through the gift shops, bypassed the cafe although it looked good, and enjoyed a wonderful lunch my sister packed for us–in the parking lot. It was a great day! It’s an old fashioned fluting iron. Looks like a fun trip! Looks like the field trip was a success. I think we visited at least one of them that is on the southern part. They sound familiar. In years past, we have crossed the bridge from Oregon into Washington, and viewed some of the Lewis and Clark sites. One of those might have been visited–not sure. I had just somehow seen one a week ago, looked online to see what it was. Boy, glad I don’t have to crimp any laundry these days! Your family is beautiful. Happy Thanksgiving to you all.